Has 10 volumes and is ongoing. Haven’t read it but had a nice cover illustration so I wanted to see if others would also be interested in reading it if it got licensed. Also I love reading from an antihero POV or antagonist POV. I tried reading the WN and it was terrible, but it's hard to tell if that's the fault of the novel itself because the fan translation was borderline unreadable and obviously MTL. It's entirely possible that my opinion is tainted by the awful translation. @guspaz it’s also alpha polis so probably won’t get it license since we haven’t gotten a single LN licensed by them yet. Seems interesting, go my upvote. 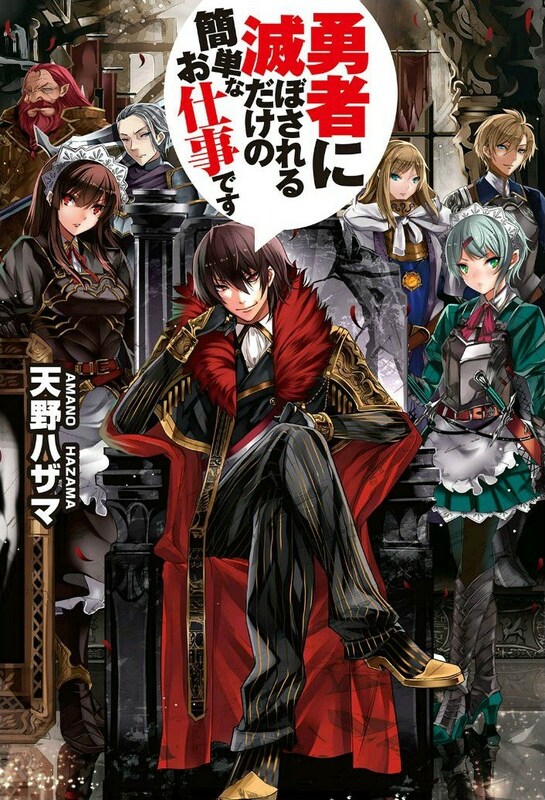 The MC gives off a Lelouch vibe, is there a manga adaptation? Personally I'd be into this series mostly because of the character designs. The premise sounds cool though. If it's backed with actual development, this might really be good. Without knowing more, I think it's still pretty iffy. The fact that it already has 10 volumes might be a good indication though. Sound cool, and the whole "can only lose to the hero" remind me of Ajimu Najimi from Medaka box wich was a fantastic character, it got my vote. I just hope it doesn’t end up like Evil God wich had what seem like a similar begining but end up being really boring. Personally I'd be into this series mostly because of the character designs. The premise sounds cool manga though. If it's backed with actual development, this might really be good. Without knowing more, I think it's still pretty iffy. The fact that it already has 10 volumes might be a good indication though.